It all began with our pram. Our little green pram. Actually, it’s not that little but it has been a little godsend ever since we purchased it! It was £20! Yes, that’s right, £20 and I felt doubly pleased when we got it as it was from a Barnardos charity shop and so we knew our £20 would go towards making a difference. It had the majority of accessories with it – rain cover, shopping bag, foot muff, straps so we snapped up a bargain. 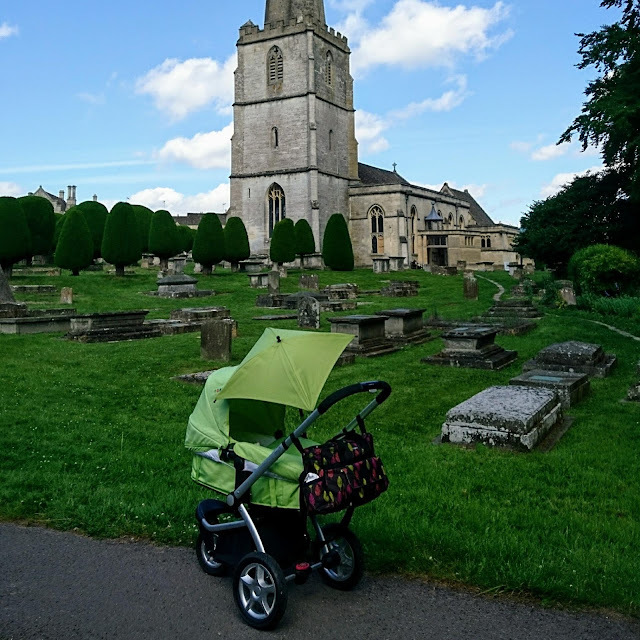 The only things it was missing were the apron (found on eBay), the carrycot liner (also found on eBay), an umbrella (found on Gumtree) and a changing bag which we managed to find in the exact same charity shop! All the important parts were machine-washable and came up as good as new. Of course, we did the obligatory new parent test run to check for safety and pumped up the tyres using our in car tyre pressure gauge. Like most pregnant couples we had attended the expectant parent Mothercare events and oohed and aahed at the latest models (and prices!). I quickly decided that preloved was the way to go and I knew from my bargain loving past that second hand didn’t mean worn out. In fact, our pram had hardly been used and it’s still going strong 5 months later! Being green it was also the perfect gender-neutral colour so, if it lasts, we could even keep hold of it for a second child. It’s all about what you are and are not willing to compromise on. I know that for some couples their pram is an investment piece and the latest model is their must have. However, for us, our green pram has served us well and I wouldn’t hesitate to buy another second hand pram if this one was to wear out. The best bit of all – we haven’t broken our bank and the balance since baby is still the right side of the line! Where did you get your pram from? Did you consider second-hand? Get in touch and let me know by commenting below – I’d love to hear which pram you chose and why! I’ll be sure to keep you informed with hints, tips, bargains and finds in return!